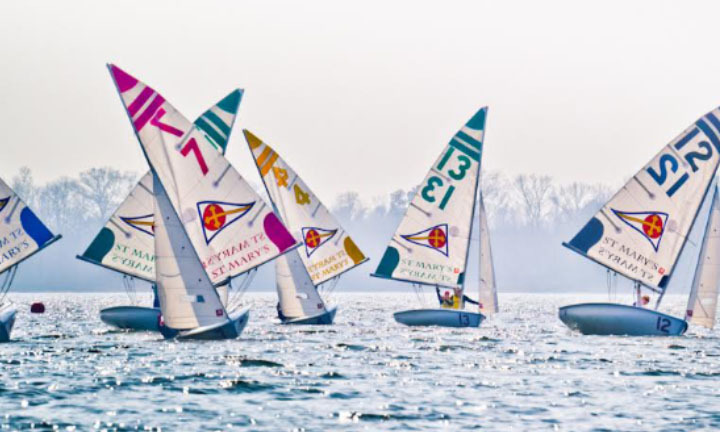 Lewis Cooper helped St. Mary's College of Maryland finished 7th competing in the 2019 Graham Hall Team Interconference Regatta hosted by Navy. A total of 16 schools took to the start line with Cooper and his teammates finishing with a record of 9 wins and 5 defeats. St. Mary’s College of Maryland defeated Christopher Newport University, Georgetown University, Roger Williams University, University of Pennsylvania, Harvard University, Yale University, U. S. Merchant Marine Academy, SUNY Maritime College and Fordham University. They would fall to Hobart and William Smith Colleges, George Washington University, Old Dominion University, U. S. Naval Academy and College of Charleston.